.. it is a neologism and pretty much the opposite to Consumer culture. In a Consumers culture, private people act as consumers. They get presented some content and they consume it. It is a liner process because they only consume what they are offered. In a Participatory culture, it is different. As the word “Participatory” suggests, private people are no longer just recipients of culture, furthermore they are able to contribute to the culture, to participate. .. our technology advances all the time. Through recent advances like personal computers and the Internet, private people are enabled to work collaboratively. They do no longer have to take what the media presents them (for example TV shows, movies, songs, news ect.) but they can access and edit things. To understand that better, let’s imagine a big event happens. Something that could make it into the newspapers. Imagine that was the case 20 years ago. The knowledge we would receive would mostly be influenced by what reporters chose to publish, the kind of pictures they thought were important and the kind of article they would have written. Today, there are a lot more factors involved. Through social networks, photos and comments can spread all over the world and that sometimes in less than a few minutes. They are no longer just created by professionals but by people like me and you. The same concept works for most of the other parts of culture. In his book “Free Culture” Lawrence Lessig states that this Remix culture has a positive effect. He argues that Remix culture does not compete or threatens the market of the create work that gets remixed and that the two markes are in fact COMPLEMENTARY and not COMPETATIVE. Further he supports this new culture that he calls RW culture (Read/Write – opposed to Read Only) saying that it encourages people to connect with their culture on a whole new level. If they want to remix parts of it, they have to listen and interpret it first. After they did that, they then create a new form of art. The results are only positive, he says: a more diverse culture that again is able to inspire other creators. That new culture, relating to the Internet , has been described as Web 2.0. 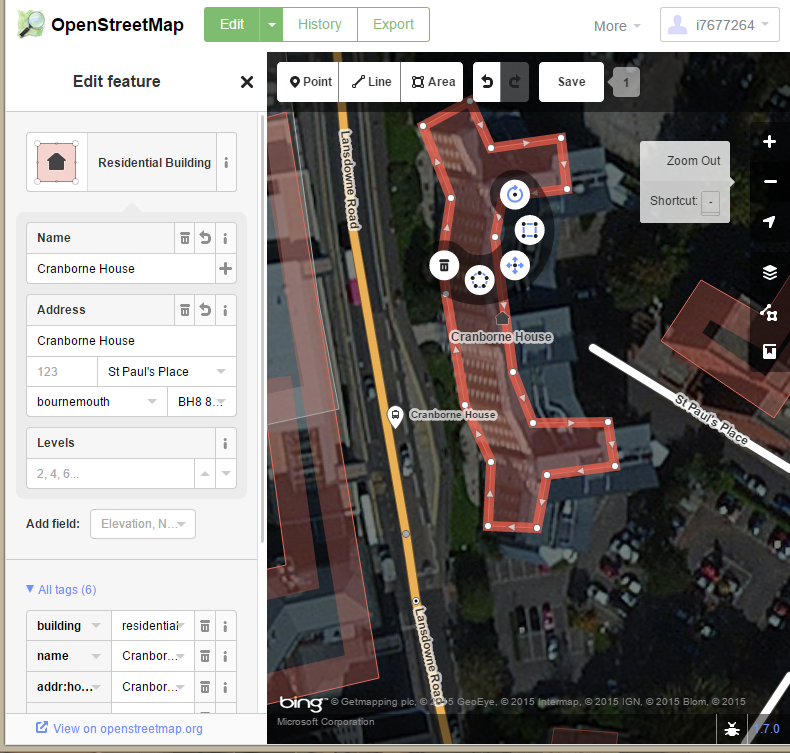 Projects like Open Street Maps encourage their users to contribute to their site. The whole site would not work without the participation of people like me and you. The concept is simple: people create open source content for other people. Those people again create content and so on. I went to take a look at that website. It was created by Steve Coast, a British entrepreneur in 2004 after he saw the success of Wikipedia (another UGC website). 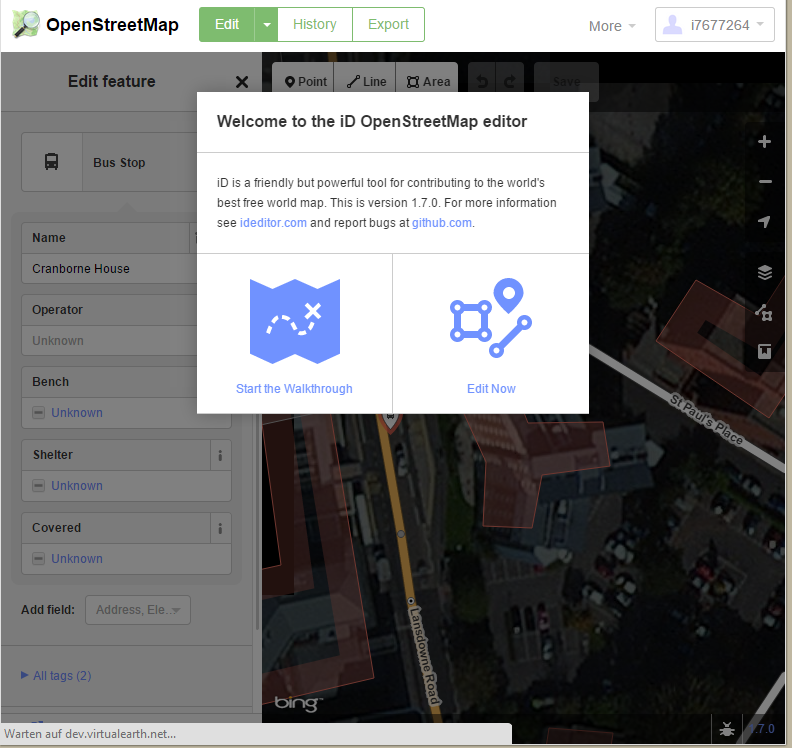 The non-profit organisation OpenStreetMap Foundation founded the site. 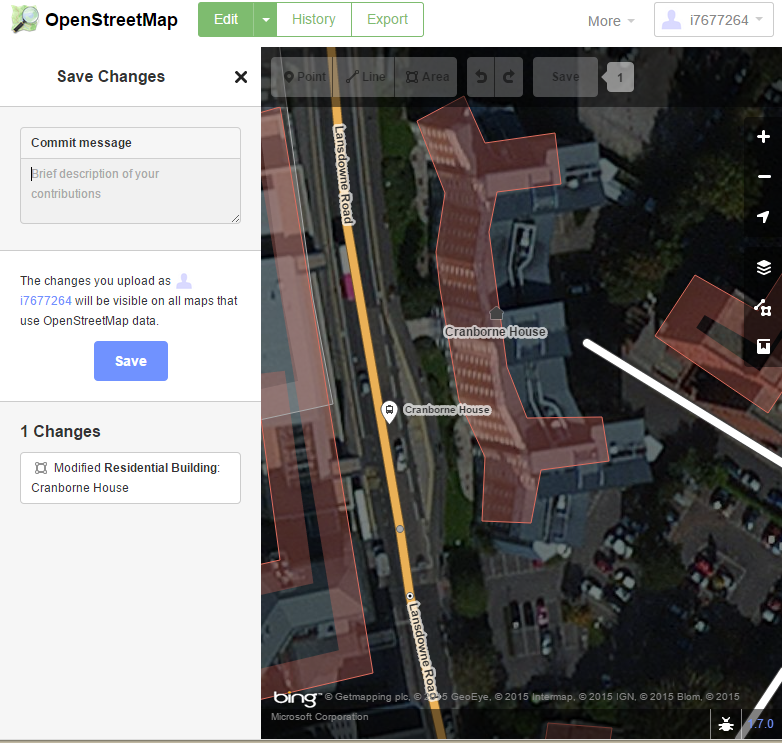 It is now used by companies such as Apple or Craigslist because other than Google Maps, Open Street Maps offers free and open Data. After I read a lot more about that site, I really wanted to contribute too. That why I created an account. 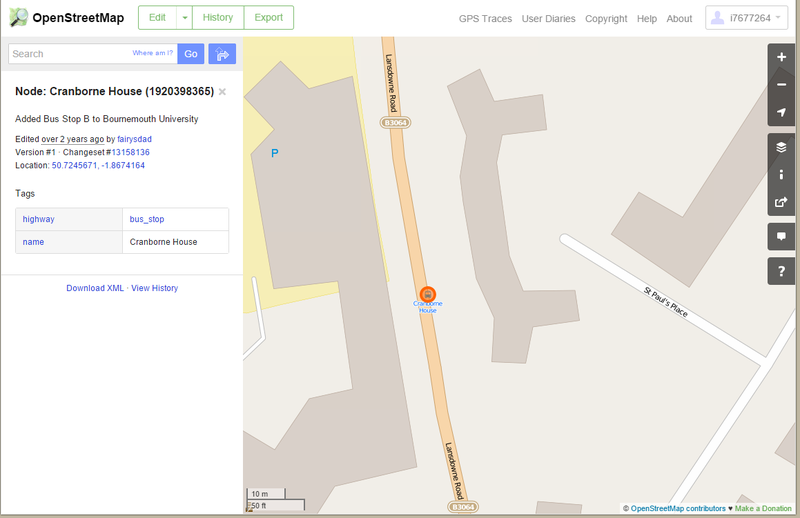 As soon as this was done, I chose to look at Bournemouth, eager to find a place that was not marked by the other users. Soon, I realized that the place I was living at, Cranborne House, could not be found on the map. So, I started the work. To my surprise, it only took five minutes to enter the details. Now there is a tiny part of this super huge thing that I have created. Lessig, L, 2004. Free culture: How big media uses technology and the law to lock down culture and control creativity. New York: The Peguin Press. Utah L., 2004. Rev. 961. Free(ing) Culture for Remix; Lessig, Lawrence. Mont. L., 2004. Rev. 1. Creative Commons, The; Lessig, Lawrence.